One or two bedroom self-contained apartments, fully serviced Monday to Saturday, overlooking beautifully landscaped gardens and one of Norfolk's best Banyan trees. 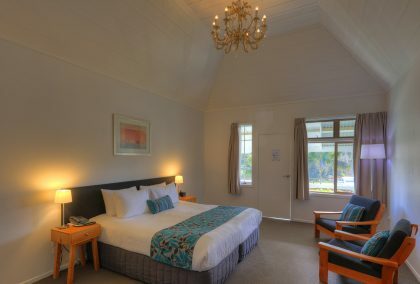 There are ten spacious hotel style rooms with walk-in showers, and private balconies with sea and island views, fully serviced Monday to Saturday. 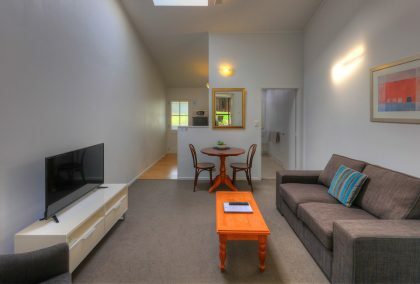 At Castaway we offer a variety of rooms,1 or 2 bedroom self contained apartments or Hotel rooms, the choice is yours for your next Norfolk Island holiday, If you would like to know more about our accommodation options, extras like continental breakfast or hire car, please Contact Us. More images of our Castaway rooms along with photos of our restaurant & bar, amenities and beautiful island can be found in our Photo Gallery.